The OMR answer sheets of the candidates will be evaluated with extreme care and repeatedly scruntized to avoid any mistakes in the evaluation. Candidates should note that no request for re-checking, re-assesment, re-evaluation or scrutiny of OMR answer sheets will be entertained. The qualifying mark of CTET 2019 is 60% or more. Candidates who will score equal to or more than the qualifying marks will be qualified in the exam. Candidates have to secure a minimum of 90 out of total 150 marks in the respective paper they are appearing. The marksheet of CTET will include the candidates roll number, candidates name, mother’s name, father’s name and category. In the CTET marksheet , there will also be subject name and marks obtained by the candidate. In case of loss or damage of CTET certificate, candidates can apply for a duplicate certificate. A candidate can get a duplicate copy of CTET marksheet / Eligibility certificate by paying the prescribed fees through Demand Draft in favour of Secretary, Central Board of Secondary Education drawn on any nationalized bank, payable at Delhi. How to Check CBSE CTET Result 2018? Step 1: Visit CTET/ CBSE official website. Step 2: Click on “Result of Central Teacher Eligibility Test (CTET)” link. Step 5: Download and take print of result for CTET exam. CTET score is valid for a duration of seven years from the date of declaration of CTET result. There is no cap on the total number of times an aspirant can appear for CTET exam. Any candidate who has cleared Central Teacher Eligibility Test conducted by CBSE may appear again for the entrance exam in order to improve his/ her score. As per NCTE notification No. 76-4/2010/NCTE/Acad. A person who scores 60% or more in the TET exam will be considered as TET pass, i.e. they need to score more than 90 marks. School managements (Government, local bodies, government aided and unaided) may consider giving concessions to the person belonging to SC/ST, OBC, differently abled persons, etc., in accordance with their extant reservation policy. Authorities should give weight age to the CTET scores in the recruitment process, however, qualifying the CTET would not confer a right on any person for recruitment/employment as it is only one of the eligibility criteria for appointment. RBI Recruitment 2018 – Apply Online for 61 Gr C Officer Posts: RBI Grade C 2018 Officer Exam to select eligible candidates for the position of Grade C officer in its various branches all across the country. As Reserve Bank of India offers an excellent pay scale and reputed job profile, it lures thousands of candidates every year to take this examination. With a handful of vacancy to be filled through RBI Grade C Exam, it is really important to prepare effectively for this exam. Selection for RBI Grade B Officers will be done through a country-wide competitive Examination in three phases i.e. Preliminary and Main examination followed by an Interview. Before applying, candidates should ensure that they fulfill the eligibility criteria for the advertised posts. The Reserve Bank of India Services Board, hereinafter referred to as 'Board’ would admit applications from all the candidates applying for this post with the requisite fee/intimation charges (wherever applicable) on the basis of the information furnished in the ONLINE application and shall determine their eligibility only at the interview stage. If at that stage, it is found that any information furnished in the ONLINE application is false/ incorrect or if according to the Board, the candidate does not satisfy the eligibility criteria for the post, his/ her candidature will be cancelled and he/she will not be allowed to appear for interview and can be removed from service without notice, if has already joined the Bank. Age restriction: Please read Official Notification for Educational Qualification details. As the exam for RBI Grade B 2018 will be conducted online at various centers across the country, candidates are given the liberty to choose center of their choice and are allotted centers based on their selection. In case there is unavailability of seat in the preferred location, RBI has the authority to allot you a center other than the one you chose. RBI Grade B 2018 Exam will be conducted in three phases: Phase-I exam, phase-II exam and interview process. Candidates are required to clear all the three phases in order to get a confirmed post as a Grade B Officer in Reserve Bank of India. Phase-2 exam of RBI Grade B 2018 is both objective & descriptive type. The major areas to focus upon are: Economic & Social Issues, English Language and Finance & Management. LAST DATE OF RECEIPT OF APPLICATIONS: The Online Applications can be filled up to January 8, 2019 till 6:00 PM. Canara Bank PO Recruitment 2018: Canara Bank Recruitment 2018 Free Job alert for both Fresher and Experienced Candidates updated on October 24, 2018. Get Direct Official Link for applying Canara Bank Recruitment 2018 along with current Canara Bank Recruitment official Notification 2018 here. Find all recent Canara Bank Vacancy 2018 across India and check all latest Canara Bank 2018 job openings instantly here, Know upcoming Canara Bank Recruitment 2018 immediately here. 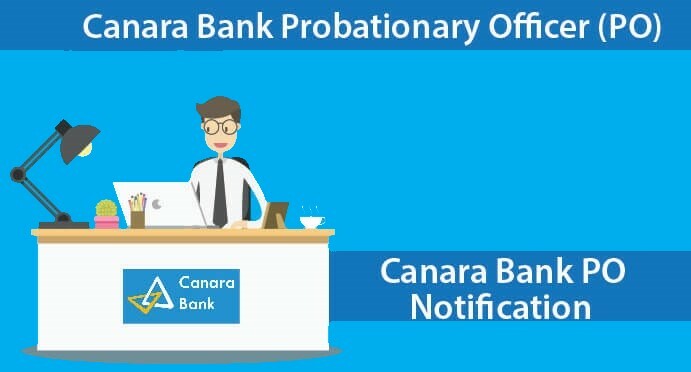 NEW DELHI: Canara Bank, a leading Public Sector Bank with Head Office in Bengaluru and global presence with over 6300 branches, has invited online application for the recruitment of Probationary Officers or POs. The Bank has announced a vacancy of 800 posts in this Canara Bank PO recruitment process. The recruitment to these vacancies will be undertaken through admissions to the specially designed one year training course leading to Post Graduate Diploma in Banking and Finance (PGDBF) either through Manipal Global Education Services Pvt Ltd., Bengaluru or NITTE Education International Pvt Ltd., Greater Noida, which are recognized by UGC. The registration process for Canara Bank PO recruitment will be done on the official website of the bank, canarabank.com. The PGDBF course comprises of 9 months of classroom studies and 3 months internship at Canara Bank's Branches / Offices. The programme is fully residential during 9 months classroom studies and the selected candidates should necessarily stay in the campus. Candidates will be selected for admission to the course at either of the above two institutes through selection process consisting of online objective test followed by Group Discussion and Personal Interview. On successful completion of the course, candidates will be awarded with "Post Graduate Diploma in Banking and Finance (PGDBF)" from that institute and the candidates would be offered appointment in the Bank as Probationary Officer in Junior Management Grade Scale-I. There will be negative marks for wrong answers in Objective Test. There will be penalty for wrong answers marked in the Objective Tests. For each question for which a wrong answer has been given by the candidate, one fourth or 0.25 of the marks assigned to that question will be deducted as penalty to arrive at corrected score. If a question is left blank, i.e. no answer is given by the candidate, there will be no penalty for that question. Saraswat Cooperative Bank Limited invites applications for the recruitment of Junior Officer vacancies in Maharashtra, Goa, Karnataka, Madhya Pradesh, Gujarat & New Delhi. Other details like age limit, educational qualification, selection process, application fee and how to apply are given below. Qualification: Applicants who have completed Graduation or equivalent from a recognized Institute for Saraswat Bank Recruitment 2018. Salary will be befitting the qualification, experience and performance and will not be a constraint for the right candidate To know more details on pay scale go to official vacancy circular. Selection Process: Selection procedure is purely based on merit, experience and performance in interview. Educational Qualification, Age Limit & Other Details: Please Read Official Advertisement. SBI PO Recruitment 2019 : State Bank of India Mumbai Announce Recruitment notification. Applications are invited from eligible Indian Citizens for appointment as SBI 2000 Probationary Officers (POs) Recruitment 2019. Candidates selected are liable to be posted anywhere in India . There are total 2000 vacancies available. Prospective candidates will have to apply after carefully reading the advertisement regarding the process of examinations and interview, eligibility criteria, online registration processes, Last Date for submission of Online Registration is 13th May 2018. SBI PO Recruitment 2018 Every year more than 20 lakh aspirants appear for the SBI Bank PO examination. The official notification of SBI PO 2019 would be released. The Online Registration for SBI PO 2019 will start from April 2018. There are 2000 vacancies for the post of probationary officer. Graduation in any discipline from a recognized University or any equivalent qualification recognised as such by the Central Government. Those who are in the Final year/ Semester of their Graduation may also apply provisionally subject to the condition that, if called for interview, they will have to produce proof of having passed the graduation examination on or before 31.08.2018. Candidates having integrated dual degree (IDD) certificate should ensure that the date of passing the IDD is on or before 31.08.2018. Candidates possessing qualification of Chartered Accountant may also apply. Abhyudaya Bank has released a notification for the recruitment of 100 Clerks. Interested candidates may check the vacancy details and apply online from 12-04-2018 to 20-04-2018. Application Fee: General/UR/OBC Candidates have to pay Rs. 800 and SC/ST Candidates have to pay Rs. 400 through NEFT to Abhyudaya Co-op Bank Ltd.
How to Apply: Interested and eligible candidates may apply online through Abhyudaya Bank website - http://career.abhyudayabank.co.in/ - from 12-04-2018 to 20-04-2018. IDBI Bank Recruitment For Executive Posts 2018 For 760 Vacancies. Union Bank of India Recruitment 2018 : Apply Online for 100 Forex Officer, Integrated Treasury Officer Vacancies in Union Bank of India recruitment 2018 in Mumbai. New recruitment Jobs 2018 notification unionbankonline.co.in published for the post Specialist Officers Credit in Union Bank of India recruitment 2018 read complete details before applying. One Vacancy in Union Bank of India for the post Company Secretary . Educational Qualifications: Graduate/ Post Graduate degree in any discipline from a University/ Institution/Board recognized by Govt. of India/approved by Govt. Regulatory bodies. Note: Preference will be given to candidates having professional qualification like MBA/PG Diploma in Business Management with Specialization in Finance from a University/Institution/Board recognized by Govt. of India/approved by Govt. Regulatory bodies. Certificate Course in Foreign Exchange conducted by IIBF. Educational Qualifications: Graduate/Post Graduate Degree with specialization in Finance/ Mathematics/ Statistics/ Commerce from a University/ Institution/Board recognized by Govt. of India/approved by Govt. Regulatory bodies. Note: Preference will be given to candidates with MBA / PG Diploma in Business Management with specialization in Finance from a University/Institution/Board recognized by Govt. of India/approved by Govt. Regulatory bodies. Literacy in Computer Operations and Word Processing/Computing skills like MS Excel. Quantitative Aptitude: 50 multiple choice questions carrying a total of 50 marks. Professional knowledge relevant to the post: 50 multiple choice questions carrying a total of 100 marks. Total Duration of Examination will be of 120 minutes: Total 200 multiple choice questions carrying a total of 200 Marks. The above tests except the test of English language will be available bilingually i.e. English and Hindi. The Bank also reserves the right to alter the structure of the online examination. Penalty for wrong Answers: There will be a penalty for wrong answers marked in the online examination. For each question for which a wrong answer has been given by the applicant, one fourth or 25% of the marks assigned to that question will be deducted as penalty to arrive at nal score. If the total of the penalty for a test is in fraction, the marks obtained will be rounded off to the nearest integer. If a question is left blank, i.e. no answer is marked by the applicant; there will be no penal mark for that question. Personal Interview: A Personal Interview of 50 marks shall be conducted to assess the academic & job knowledge, power of expression, clarity of thought, qualities of leadership, extracurricular activities, hobbies, general demeanor, behavior, communication skills, suitability for the post, etc. of the applicant. The minimum qualifying marks for the Personal Interview would be 25 marks (22.5 marks for Reserved Category applicants). The applicants not securing the minimum qualifying marks in the Personal Interview will be qualified for selection. General & OBC Candidates: Rs. 600/-. Job applicants, who are applying for above said posts must have completed PG Diploma (Computer Science / IT) / Graduation Degree / Post Graduation Degree (MBA) / Engineering Degree (Computer Science/ Computer Science & Engineering/Computer Engineering/ Computer Applications/ Information Technology/ Electronics/ Electronics & Telecommunications/ Electronics & Communication/Electronics & Instrumentation) from a recognized Board / University / Institute. Application Fee for Contenders belonging to the SC/ST/PH candidates : Rs. 100/-. The age of Appliers should be between 35 to 50 Years (Post 1,2), 30 to 45 Years (Post 3), 25 to 37 Years (Post 4,7), 25 to 35 Years (Post 5,6,8-10), 21 to 30 Years (Post 11) As on 05-12-2017. Selected Candidates will receive salary of Rs. 23700 – 42,020/- (JMG/S I), Rs. 31705 – 45950/- (MMG/S II), Rs. 42020 – 51490/- (MMG/S III), Rs. 50030 – 59170/- (SMG/S IV), Rs. 59170 – 66070/- (SMG/S-V) and other benefits as per BOB Policies Circulars. 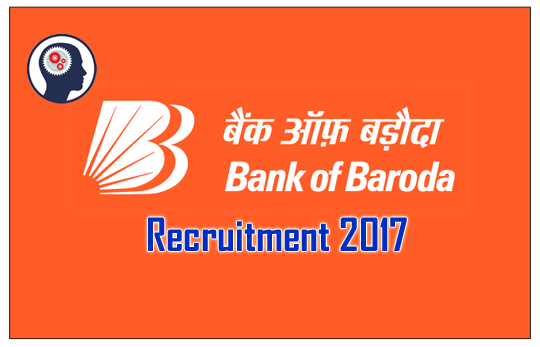 The selection of contestants who are participating under BOB Recruitment 2017 shall be through the Online Test, Interview and Psychometric Test / Group Discussion (GD). 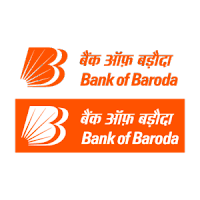 First and Foremost step is to visit the Official website that is www.bankofbaroda.com. Commencement of Online Application Form Is : 14-11-2017. Online Registration Ends On : 05-12-2017.